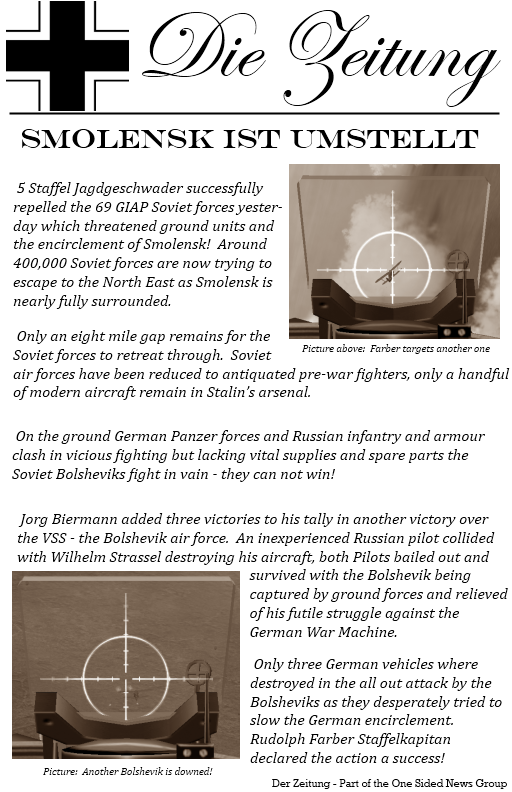 This historical campaign was fought around Smolensk in June/July 1941. 69 GIAP attacked (with bombers) on missions 2 and 4. 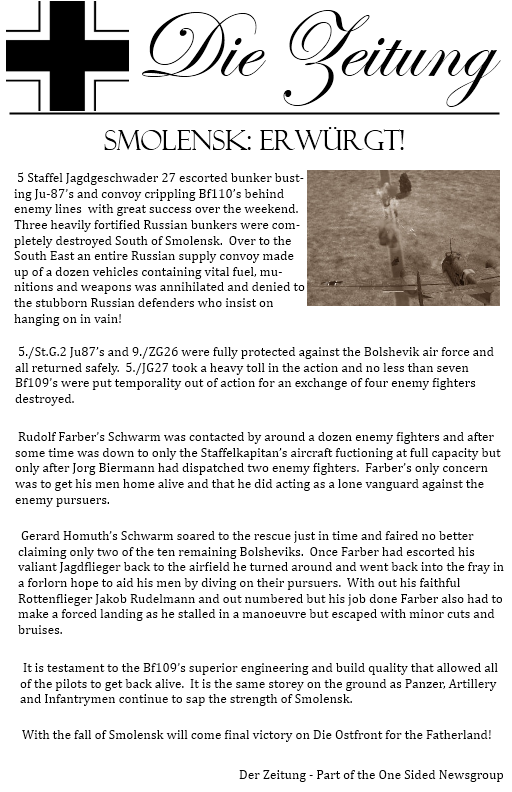 5./JG27 attacked (with Ju87 Stuka) on missions 1,3 and 5. 69 GIAP fielded 12 fighters of upto 2 types per mission and upto 3 bombers when on attack. 5./JG27 fielded 8 fighters all 109E-7z and upto 4 Ju87 Stuka and or Bf110. Blue objective: Convoy completley destroyed, 3 bunkers destroyed. 5./JG27 was always outnumbered by the 69GIAP in aircraft but not Human opponants. 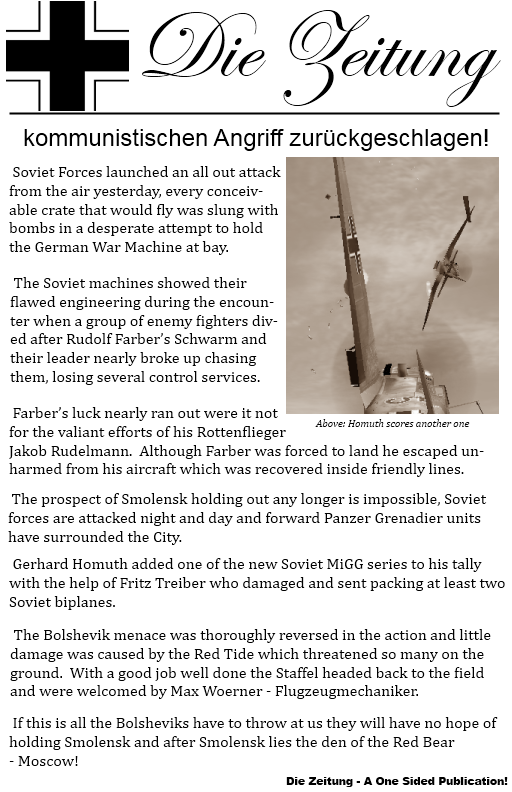 5./JG27 generally had around 90% Human players and 69GIAP had around 70%. 69GIAP fought hard and well and gave a good tough fight. 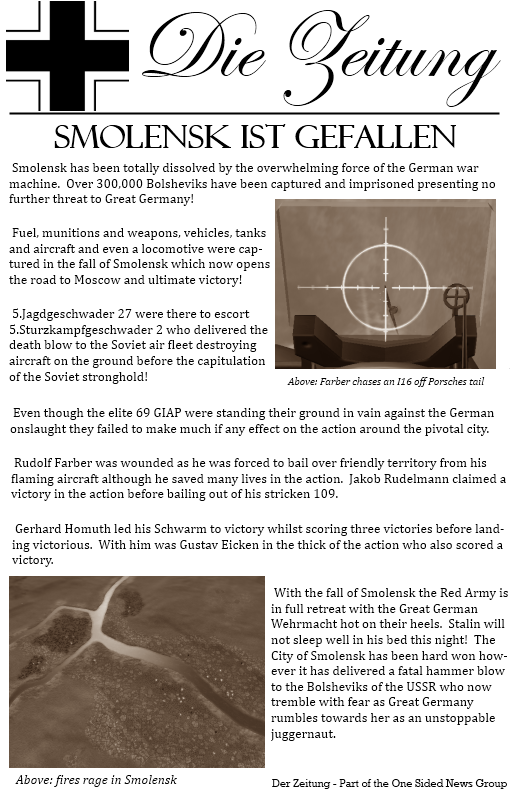 5./JG27 compleated more objectives during the campaign. 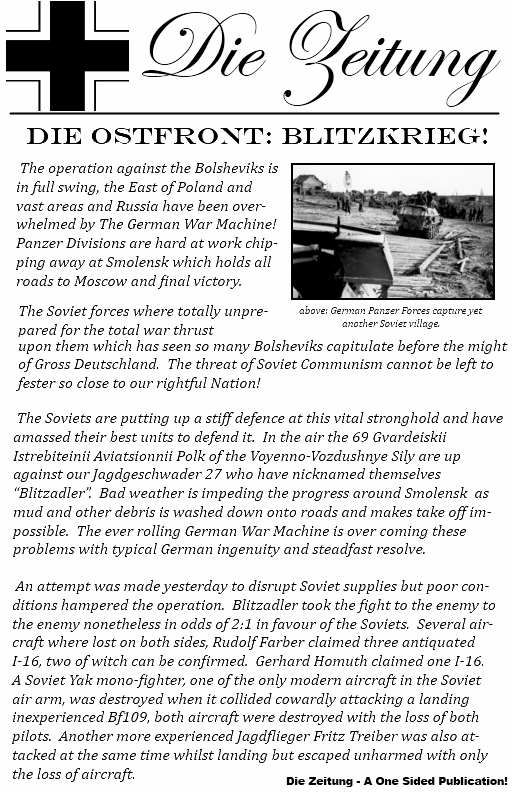 Result: 5./JG27 although battered during the campaign claimed ultimate victory. Many thanks to 69GIAP for taking part, fighting hard and being good sportsmen!